Join us for an incredibly informative guest lecture with Maddy Martin of Smith.ai discussing how the right virtual receptionist and intake service can vastly improve productivity and profitability of your solo/small firm. But it’s more than this. How you present to the world is part of your branding and credibility. Listen and learn about what potential clients and current clients are really looking for when they reach out to a lawyer for the first and every time thereafter. If you don’t know what they want you can be losing business you never even knew you were losing; losing clients you never realized were vulnerable to leaving. I promise it is 43 minutes very well spent. The audio is about 43 minutes. Listen directly below. Maddy Martin is the head of marketing and partnerships for Smith.ai, which provides law firm communication services, including their virtual receptionist & intake service, live web chat, and Keypad cloud phone system. 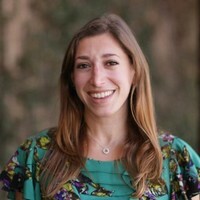 She has spent the last decade growing tech startups from New York to California, and has expertise in digital marketing, small business communications, lead conversion, email marketing, content marketing, social media, strategic partnerships, and events. This entry was posted in Audio, Guest Lectures, Marketing, Sponsors and tagged Maddy Martin, Smith.Ai. Bookmark the permalink.